Pawks, the anti-slip socks for dogs! Improve your dog's traction on slippery surfaces with the anti-slip paw print decal that maximizes grip. 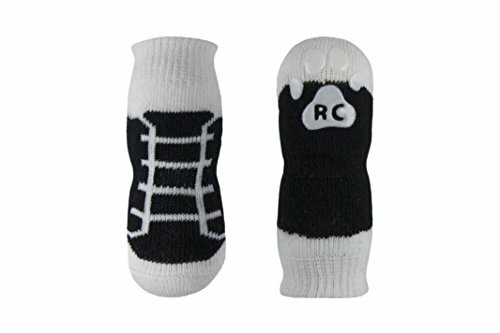 Fun and functional, Paws are made from soft cotton and your favorite RC graphic patterns.